Lucy is the US Managing Partner of the Executive Search firm Wilton & Bain. 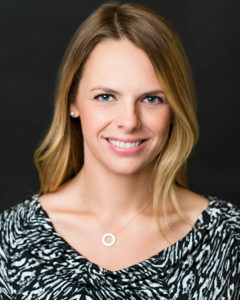 Having grown up in the London office of her current organization, Lucy was tasked with launching Wilton & Bain’s San Francisco office in 2015. Since then she has built the business’ offering into the technology and professional services market, supporting organizations of all sizes with their Executive hiring. Lucy grew up in Bristol and studied Philosophy & Politics at Exeter University, before moving to London in 2008. She loves horse riding, hiking with ‘T-Rex’ (her Pembroke Corgi) and writing. Her first book ‘Chameleon’ will be published in July 2018, charting her year of adventures living amongst 26 different British Subcultures – from Aristocrats and Circus Performers, to Naturists and Morris Dancers.